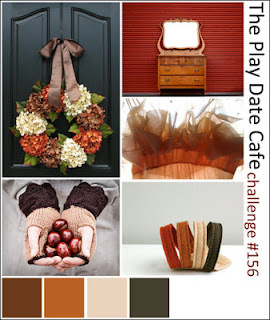 Welcome to this week's Play Date Cafe Challenge. Our colors Cinnamon, Squash, Vanilla, and Sage. These are perfect Autumn and Thanksgiving colors. Our sponsor this week is DRS Designs and they generously provided the entire design team with their stamps. They have a really big selection of really cute stamps. I used a stamp called Country Window. I paper pieced the wall and window scene with Cosmo Cricket - S'more Love papers and I colored the little butterfly with Copics. I hope you can join us this week I can't wait to see what you come up with using these rich colors. Very sweet Image, love the mix of coloring and piecing! Oh, those curtains are perfect Donna and the red walls are so vibrant, I just LoVe it! Cute card!! Love the woodgrain background!! 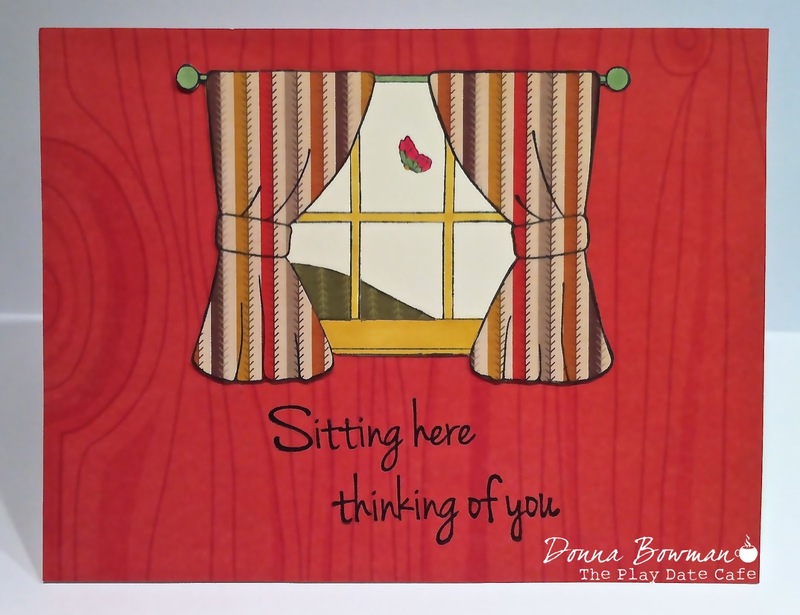 Love this color combo and your super cute card! How very quaint! Love the homey feel of this window and the woodgrain wall! How quaint and lovely!! I love the paper-pieced curtains!! Beautiful take on the colors, Donna! Happy Sunday!! Aw, I really like this! It has a sweetness to it that makes me smile.